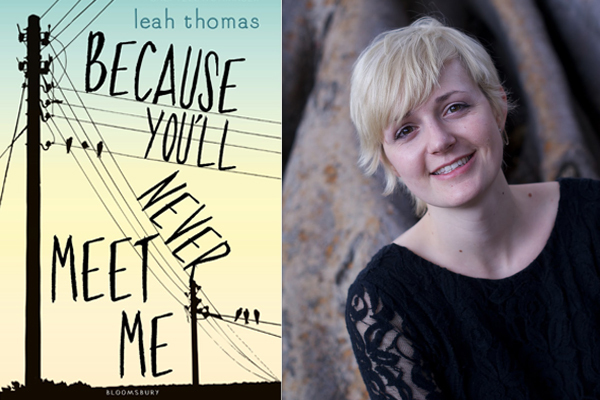 Because You’ll Never Meet Me is a wonderful, literary young adult debut from Leah Thomas. 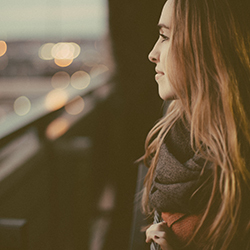 It’s full of originality and promise, and it really tugs on the heartstrings of its readers. Ollie and Moritz are best friends, but they can never meet. Ollie is allergic to electricity, and contact with it causes debilitating seizures. Moritz’s weak heart is kept pumping by an electronic pacemaker. If they ever did meet, Ollie would seize. But Moritz would die without his pacemaker. Both hermits from society, the boys develop a fierce bond through letters that become a lifeline during dark times—as Ollie loses his only friend, Liz, to the normalcy of high school and Moritz deals with a bully set on destroying him. This book explores friendship, trust, confidence, anxiety, depression and all of the things in between. Leah has also woven in some dystopian elements (Ollie being allergic to electricity) into the story to give it that bit of extra originality and intrigue. This book is just as beautiful as it is sad. Ollie has never known was ‘normal’ is. He’s never known what a party is like or a television or a computer, and although he seems fine with this in the beginning, he also feels isolated. It’s just him and his mother, and as he gets older, he gets curious. His friend Liz introduces him to things that he has never understood, and then just as he comes to desire a new life with better opportunities, the realisation that Ollie is never going to be cured means that these things are subsequently taken away from him. Because We’ll Never Meet Me is a story of friendship and hope, even during the strangest and stressful of times. This is not a romance YA novel, but a story of two unlikely friends who never meet but form a bond that they both were in desperate need of. Because of each other, Ollie and Moritz are able to break out of their shell and to start daring themselves to do things. They start to push their boundaries to see what they’re capable of. And yes, this causes some accidents and some heartbreaks, but it also allows the boys to grow up and mature and confront their issues and their doubts. It seems like there was a veil over both of them until they ‘met’, and then together they began to accept their situations and learnt to confront them. This novel is powerful, dark and wonderful and I really enjoyed it. I’d recommend it to all young adult readers, as well as those of you who enjoy sweet stories without a strong romantic element.